The below terms and conditions are designed for your use in relation to our web-site and any enquiries or purchases you make, your statutory rights are not affected. We encourage customers to purchase sample tiles before making their complete purchase to give a true, accurate and clear appraisal of the product and its suitability for its installation. Either pay for a full size piece or choose free cut pieces, which are limited to three pieces per order. Please remember shades and calibration of tiles differ especially with natural products, so before fixing ensure you are entirely happy with the product as any claims once the product has been fixed will not be considered. Any purchases of samples are also governed under these terms and conditions. When you submit an order to us, you are offering to purchase the products from us at the prices indicated on the Website. Our acceptance of your order will take place as described below. By submitting an order to us through the Website and by clicking the Pay Now button, you confirm that the payment details provided on your order are valid and correct and that when your order is accepted and processed by us, payment will be made in full. Acceptance of an order placed by you online and the completion of the contract between you and us will take place when you receive an email from us that confirms that the products have been dispatched. The contract between us will only be formed when we send you this dispatch confirmation. Once we have sent you this dispatch confirmation, you will not be able to amend your order and any cancellations to your order must be made in accordance with the paragraph titled ‘Returns’ below. If we are unable to supply you with a product, for example because that product is no longer available, or because of an error in the price on the Website, or we are unable to obtain authorisation or verify your payment, or where you do not accept our terms, we will inform you of this by email or telephone and we will not process your order. If you have already paid for the products we will refund you the full amount as soon as possible and in any event within 14 days. Please note: acceptance by us of a payment made by you in connection with any products does not constitute our acceptance of your order and a legally binding contract is not formed until you receive our order confirmation email and we will not be obliged to supply products to you until then. If at any point there are any problems with your order, please contact us using the details on our Contact Us page . The prices of the goods will be as quoted on the website from time to time. We only accept payment for orders in pounds (£) sterling. We take all reasonable care to ensure that the prices of the goods are correct at the time when the relevant information was entered onto the system. Prices for our goods may change from time to time but changes will not affect any order which we have confirmed with an order confirmation. The price of our goods includes VAT (where applicable) at the current applicable rate chargeable in the UK for the time being. Please note that if the rate of VAT changes between the date of your order and the date of delivery, we will adjust the VAT payable by you, unless you have already paid for the Products in full before the change in VAT takes effect. Delivery charges will also be payable on your order and these will be added to the price of your order prior to you submitting payment to us. If the correct price for the goods is higher than the price stated on the website we will contact you as soon as possible to inform you of this error and we will give you the option of continuing to purchase the goods at the correct price, or to cancel you order. We will not process your order until we have your instructions. If the pricing error is obvious and unmistakable and could have been recognised by you as an error in pricing we do not have to provide the products to you at the incorrect (lower) price. If we are unable to contact you using the contact details you provided during the order process, we will treat the order as cancelled and notify you in writing. Payment for the goods must be made using the payment facilities available through the website. We may withold the goods and/or cancel the contract between us if payment is not received from you in full in cleared funds, unless it has been otherwise agreed between us that you may pay us in installments. Whilst we will use all reasonable endeavours to ensure that your order is delivered to you within the times stated, our deliveries are carried out by a third party provider and as such this process is largely out of our control. If an event does occur which may affect your delivery and/or is otherwise outside of our control we will attempt to contact you. Your delivery will need to be signed for when it is delivered to you so please ensure you make necessary arrangements for someone to be at your address to accept delivery of goods. If nobody is able to accept delivery of your goods, this may result in the goods returning to us and as a result any charges for redelivery may need to be paid by you. Your delivery will be delivered to the nearest accessible location to the delivery address that you provide to us (Kerb side Delivery). Please ensure that any hazards that may prevent your delivery being taken off of the delivery lorry are removed, to the extent possible. If there are immovable hazards or obstructions (e.g. steps, uneven or gravel paths or driveways for example) your delivery may be made to an alternative location between the delivery vehicle and your property. If your property has limited or difficult access you must let us know at time of placing your order , using the delivery restrictions comment box. The goods will become your responsibility at the point of delivery. As part of our service we are happy to assist with working out measurements and the suitability of products for a particular installation, but it remains ultimately the customers’ responsibility to ensure suitability and quantities prior to fixing. We will not be responsible in the event that the wrong quantity of tiles, or tiles that are not suitable for any particular placing have been ordered. Due to the manufacturing process products may vary in shade, tolerance and calibration this is especially prevalent in natural products. 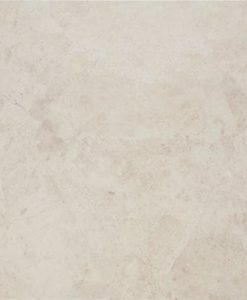 The variance in colours and textures is not a defect, but merely a characteristic and most natural products will require sealing prior to grouting and may require ongoing maintenance. You should not arrange for fitting until all goods are received and your order is complete. All lead times are quoted with goodwill, but we cannot be responsible for any failure to meet these or any consequential loss. If you are in any doubt about the suitability of the product, do not proceed to fitting but please contact our customer services team using the details on our Contact Us page who would be pleased to assist. Please check all goods prior to fitting as we are unable to accept any claims after the tiles have been installed except in the cases of any inherent non visible defects. Please be aware that there may be slight variations in colour, shades and dimensions from batch to batch. We advise you to order enough product to cover your needs accordingly as we cannot accept any liability for any minor differences in any subsequent batch or batches that you may need to order. Any products displayed on the website alongside your order are suggested accompanying products only. We cannot guarantee the suitability of these suggested accompanying products for your particular project and you should not rely on these suggestions. 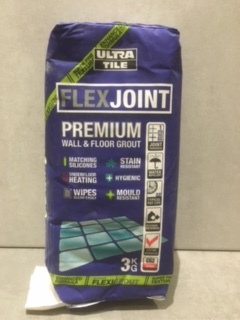 Save for circumstances where any accompanying product is faulty, we do accept any liability once tiles have been fixed if that product is unsuitable. You have the right to cancel this contract within 30 days without giving any reason. The cancellation period will expire after 30 days from the day on which the products are delivered to your address as set out in your order. Products can be returned as long as they are in the original unopened box. We are unable to accept any returns of any perishable items. To exercise your right to cancel, you must inform us of your decision to cancel the contract by a clear statement (e.g. a letter sent by post or e-mail). You should exercise your right to cancel by contacting us at the address or e-mail address set out on our Contact Us page. To meet the cancellation deadline it will be sufficient for you to send your communication notifying us of your cancellation of the contract before the 30 day cancellation period has expired. If you cancel the contract you will need to arrange to send the goods back to us at Unit 1, Dewhurst Row, Bamber Bridge, Preston PR5 6BB, without delay and in any event within 14 days of you notifying us of your cancellation of the contract. You will bear the cost of returning the goods to us except where the goods are returned because they are either faulty or mis-described in which case we will refund any reasonable costs you incur in returning the goods to us. If you cancel this contract, except in the circumstances set out below, we will reimburse you for all payments received from you, including the costs of delivery. We may make a deduction from any reimbursement to you for any loss in value of the goods supplied, if the loss is due to any unnecessary handling of the goods by you (which means any handling other than to check that the goods delivered to you comply with your order you submitted to us). Please note that we are unable to accept returns for any tiles after the tiles have been installed, even if this is within the 30 day cancellation period. Please ensure that you check all goods carefully prior to fitting. We will reimburse you for any returned goods without delay and in any event not later than 14 days after the day that we either receive the goods back from you or we receive evidence from you that you have returned the goods supplied. We will make the reimbursement using the same means of payment as you used for the initial transaction unless we have expressly agreed otherwise. In any event you will not incur any fees as a result of the reimbursement. As a consumer you will always have legal rights in relation to products that are faulty or not as described. These legal rights are not affected by this returns policy. Advice about your legal rights is available from your local Citizens’ Advice Bureau or Trading Standards office. If you wish to return the goods to us because they are faulty and mis-described, you should notify us that the goods are faulty as soon as possible after delivery by contacting us using the number or email provided on our Contact Us page. We will ask you to return the goods to us and provide you with a refund for the cost of arranging such return. We will not be liable or responsible for any failure to perform or delay in performance of any of our obligations under our contract with you that is caused by an Event Outside Our Control. An “Event Outside Our Control” means any act or event beyond our reasonable control, including without limitation strikes, lock outs or other industrial action by third parties, civil commotions, riot, invasion, terrorist attack or threat of terrorist attack, fire, explosion, storm, blizzard, flood or other inclement and unordinary weather condition, subsidence, epidemic or other natural disaster or failure of public or private telecommunications networks or impossibility of the use of railways, shipping, aircraft, motor transport or other means of public or private transport. Our obligations to you will be suspended and the time for performance of our obligations will be extended for the duration of the Event Outside Our Control. Where the Event Outside Our Control affects our delivery of the goods to you, we will arrange a new delivery date with you after the Event Outside Our Control is over. If you have any queries or complaints regarding your order please contact us using the contact details you can find on our Contact Us page.